Diabetes can be full of ups and downs – literally. While blood glucose levels can rise, they also can come crashing down. And when they go down too low, your child may experience low blood sugar, or hypoglycemia. If this serious condition is not treated, it can worsen and cause your child to pass out. If your child experiences any of these signs or symptoms, check her blood glucose right away. If you’re unable to check it immediately, treat your child as if she has low blood sugar. After your child consumes a high-sugar item, wait 15 minutes. Then check her blood sugar again. If it’s still low, give her something to eat or drink that’s high in sugar again. Once her blood sugar returns to normal, give her a meal or snack to help keep low blood sugar from returning. 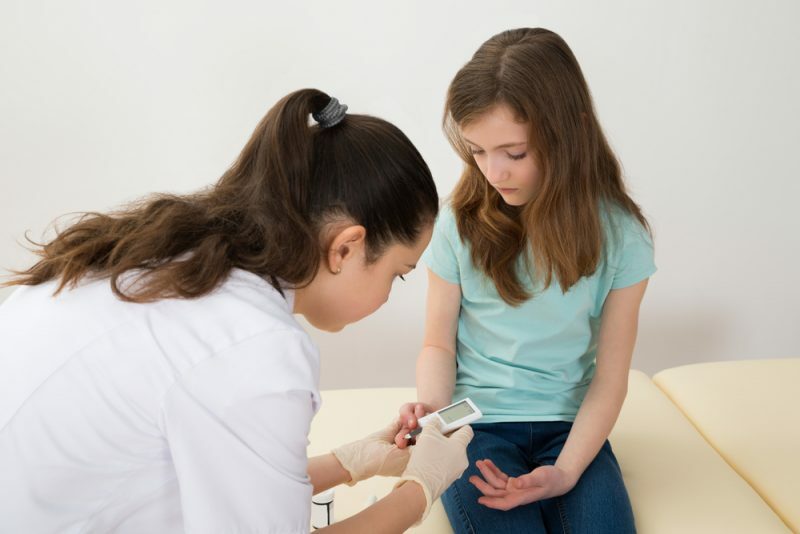 The goal of treating a child with diabetes is to maintain a safe blood sugar level. To reach this goal, you should test your child’s blood sugar often, learn to recognize oncoming symptoms and treat any problems (like hypoglycemia) quickly – based on your doctor’s instructions. For additional information about diabetes, visit the Akron Children’s Center for Diabetes and Endocrinology.